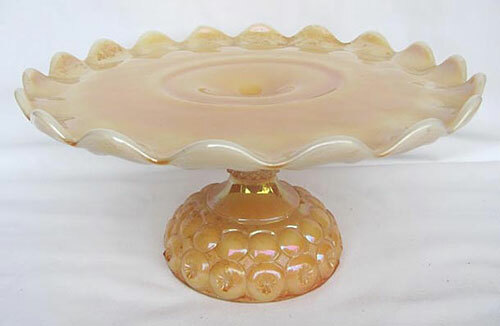 Above is a cake plate, 11 1/2 inches in diameter, marigold on milkglass, that sold for $125 in 2016. It's the first I've heard of in old Carnival. It was identified as being made by Phoenix. Photo courtesy of Burns Auctions. The pattern has been widely reproduced. You can see such examples here.